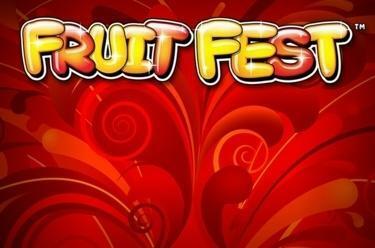 Play Fruit Fest™ online for free now! The sweet fruits are throwing a party, and you're invited as a guest of honour! Go wild in Fruit Fest™ with the happy fruits, dance with the Golden Bell, Red 7 and the Blue Star on the dance floor and land one or the other delicious win. The Fruit-Party bonus symbols are your ticket to the VIP Area, which hold particularly lucrative spins for you! 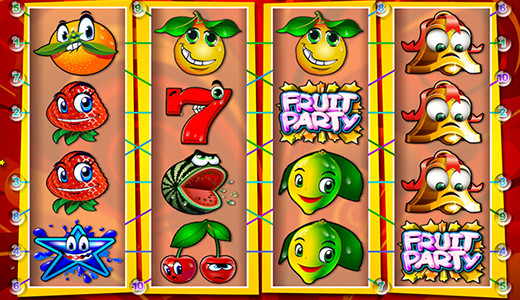 The aim with Fruit Fest™ is to land 4 symbols along the 10 win lines! To win, the symbols need to land on a win line, not directly next to each other. A win is paid out from three identical symbols. If you land 3 or 4 Fruit-Party symbols (bonus symbols), 10 or 30 Party Games (free games) will be activated, which you can really clean up with! The fruits-fest starts with only 3 or 4 Fruit Party symbols (bonus symbols), as then you win 10 or 30 Party Games (free spin rounds)! Here the reels are filled with the Reel-Refill principle. If you land a winning combination the symbols from the combination disappear, and are replaced by other symbols - that fall from above the free reel positions. If this again creates a winning combination, the winning symbols disappear and are replaced with new symbols. The resulting line wins are added to your existing winnings. This process repeats until no new winning combination is landed. You can win additional free games during the free games.